John Barker was born in Halesworth, Suffolk. 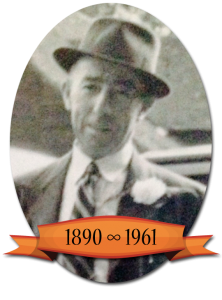 The son of a traveling showman and credited with the introduction of stem to power fairground rides. 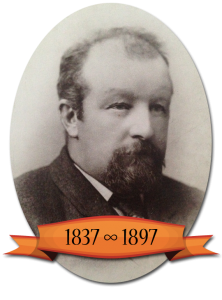 He built up his business of steam driven rides which he travelled mostly around East Anglia and sending his rides to all the major fairs in the country until his death in 1897, when his wife and children took over the running of the business. 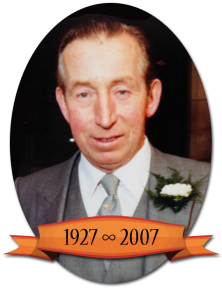 John was a very well respected man, not only within the fairground business but by many people from all walks of life. He was vice president of the van drivers association (now the Showmen Guild) and was held in such high esteem that a monument to his memory was erected in the rosary cemetery, Norwich, where he is buried, in appreciation of his contribution to charity. William barker was born in Wisbech, Cambridgeshire and like his father John, he travelled his rides in the East and then moved to the Midlands. With the days of steam coming to a close, the rides were powered by diesel generators and so a new era in Fairground began. William was a very accomplished painter and was responsible for much of the fairground artwork of the 1930’s and 40’s. With Albert at the head of the firm it blossomed into a full Fin Fair with all the latest high tech rides and old favourites for adults and children alike. With a vast array of amusement games, side shows and food kiosks, he made sure that Barkers Amusements was a first class Funfair for the 21st Century. The firm is run by Alberts three sons, John, Martin and Joe and along with their families, they pride themselves on being able to provide any equipment for any event, whilst still managing to be a Family business with Family Values.